The Bahamas Domestic Submarine Network (BDSN) system is owned and operated by The Bahamas Telecommunications Company (BTC); Global Marine Systems Limited (Global Marine) is the maintenance provider for the system. 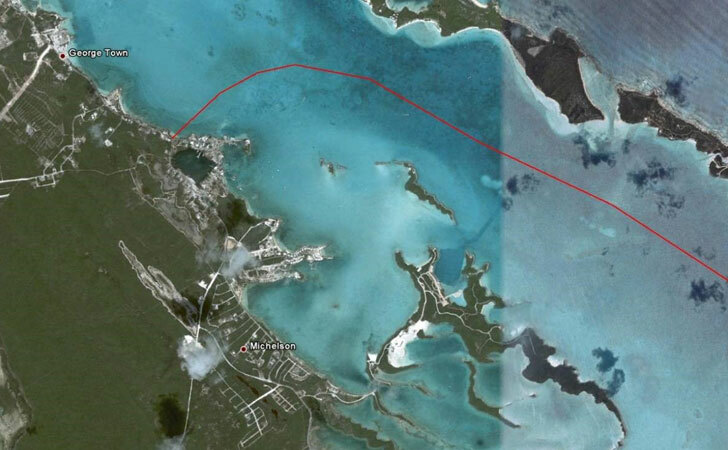 A section of the BDSN Segment R4 submarine cable located within Elizabeth Harbour, Exuma was damaged by an unknown source believed to be a vessel anchor. CSA Ocean Sciences Inc. was contracted by Global Marine to conduct a diver survey to accurately locate, map, and document the extent of the damage to the submarine cable. CSA was also contracted to provide marine services support for the cable replacement and repairs associated with the damage to Segment R4 of the BDSN cable system. In early March 2010, the tug Champion and the barge Mobro 126 were mobilized in Fort Pierce, Florida. Upon completion of vessel mobilization, Champion and Mobro 126 transited to Freeport, Bahamas where the new cable for the BSDN Segment 4 repair was loaded onto the barge. The tug and barge then made the transit to Georgetown, Bahamas where repair and burial operations associated with the damaged section of the BSDN Segment 4 cable were successfully conducted.